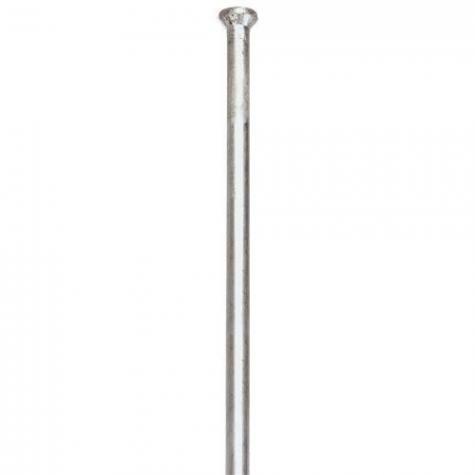 Ground rods are essential for all energizers and lightning diverters. 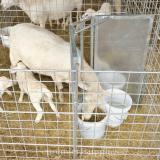 Can also be used as a connecting pin to attach gates, panels, orphan headgates and creep feeder gates. 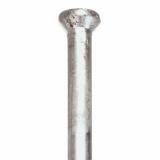 Galvanized rods do not rust or corrode. 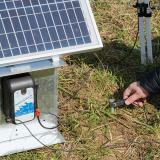 Energizers—allow 3 ft of rod per joule of energy released (use 3 ft rods for smaller energizers and lightning diverters. Use multiple 6 ft rods for large energizers). To attach insulated wire, make a elongated "U" in the wire. Put the "U" against the rod and put the stainless steel ground rod clamp around it. Tighten. Attaching gates or panels to feeders. Attaching orphan headgate to existing lambing pens. 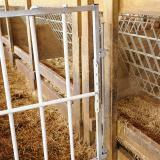 Attaching a creep feeder gate to wire panels, bar gates or wooden panels. 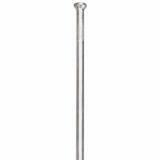 When installing more than one ground rod, space the ground rods apart 2 feet longer then the rod. Example 3' rods should be spaced 5' apart. 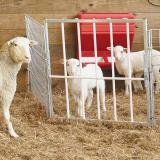 Holds ewes or does in place for a lamb or kid to nurse. Aids in grafting lambs/kids to dams. Good and heavy duty. I've used cheap rods and scrap metal re-rod before and they haven't held up to sheep bashing. I have these for both orphan Headgates and creep gates and they have never failed or bent. Great value. Highly recommend. Premier 1 Fencing is above average to me! I have always had positive experiences until recently. However, after speaking with a manager, she took care of my problem and went above and beyond what I expected. The have a full line of high quality products and always strive to please!! Found them to be great. This ground rod has a hole right below the head, likely to make it easier to attach the ground wire from the energizer. This is a design flaw that needs to be fixed as it compromises the integrity of the head. The first time I pounded this ground rod in the head of the rod bent as the hole below the head was crushed.